Jackson Stephens probably planned his 2015 debut to be a little better than it was. Charlotte scored five runs in 4.2 against him on April 13th. He rebounded well the next time out as he held the Yankees to just one run over 5.0 innings with five strikeouts. The righty took on the Yankees again the next time out and held them to two runs over 4.1 innings but struggled with his control as he walked four batters. In three starts he posted a 5.14 ERA with seven walks and 11 strikeouts in 14.0 innings. 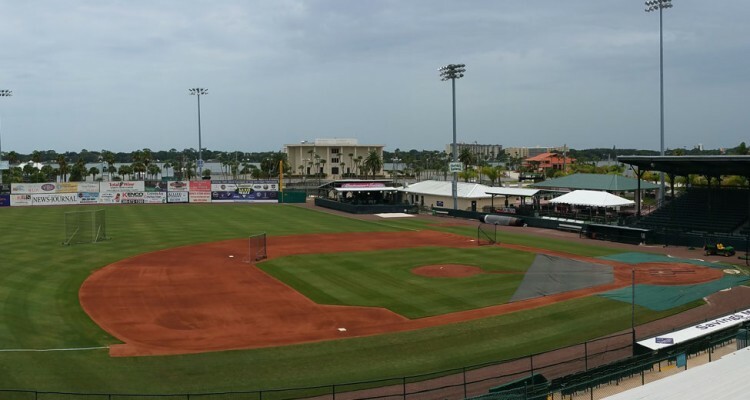 May began at home in Daytona against Brevard County. The Manatees scored four earned runs and an unearned one in 5.0 innings against Stephens. On the 6th he would allow just a single run in 4.1 innings with a walk and three strikeouts. Six days later he would make his longest start of the season to that point, allowing just two runs in 6.2 innings. The next time out he tossed a season best 7.1 shutout innings against Clearwater. He continued the strong run on the 22nd against Jupiter, being charged with just one unearned run in 6.0 innings. The month came to an end with three runs allowed in 5.2 innings. In six starts he posted a 2.57 ERA in 35.0 innings with seven walks and 17 strikeouts. On the 2nd of June the right hander returned to the mound and allowed two runs in 6.0 innings with five strikeouts. The strong run of starts came to an end against the Mets as he allowed five earned in 6.1 innings with a walk and four strikeouts. Six days later hetook on the Yankees who scored three runs on two homers in 6.1 innings. With seven days of rest Stephens took on the Threshers in Clearwater and allowed three earned in 6.0 innings with a walk and three strikeouts. The month came to a close by allowing one earned, but being charged with three unearned runs in 3.0 innings. In June he posted a 4.55 ERA over the course of 27.2 innings to go along with six walks and 18 strikeouts. July got out to a strong start as Stephens tossed 6.0 shutout innings against Lakeland on the 2nd. He was nearly as good the next time out, allowing just one run with seven strikeouts in 6.0 innings. Bradenton would score twice in 6.0 innings on the 12th against the righty in the only game in the month where he didn’t get a decision. The Alabama native tossed 5.0 shutout frames with five strikeouts on the 18th to pick up the win. He struggled on the 26th against the Mets, allowing four runs in 5.0 innings but the offense had his back and he still picked up the win. July ended with 6.0 shutout innings on the final day of the month with five strikeouts. For the month he posted a 1.85 ERA in 34.0 innings with five walks and 29 strikeouts. 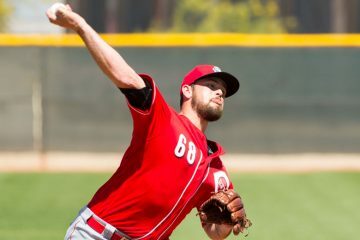 With a weeks rest under his belt, Stephens took the mound on August 7th and tossed 7.0 shutout innings against Lakeland. He followed that up with 6.0 shutout frames against Dunedin on the 12th. The righty would pick up his first loss in six weeks on the 17th when he allowed three runs in 5.2 innings. He would rebound well by allowing just one run in 7.0 innings to go along with eight strikeouts. On the 28th he would run into some trouble, allowing five runs in 4.0 innings on eight hits and two strikeouts. The regular season would finish strong with 5.0 shutout innings on the 4th of September. In his final six starts he would post a 2.34 ERA in 34.2 innings with five walks and 22 strikeouts. He would make one start in the playoffs and allow one run in 7.0 innings for Daytona in game 1 of the Florida State League Championship Series. Fastball | His fastball works 91-93 MPH and touches 94 a few times each start. Curveball | His curveball is a slightly above-average offering. Slider | He shows an average slider. Change Up | The change up is slightly below-average. After dealing with some injuries in the past, Jackson Stephens returned to form in 2015, finding some of his lost velocity. The right hander doesn’t really have a strong secondary pitch, but all three of them are close to average. 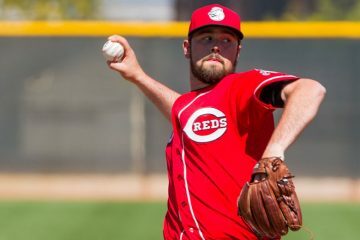 When coupled with his ability to pound the strikezone he could profile as a back end starter, but a move to the bullpen could let his stuff play up some. 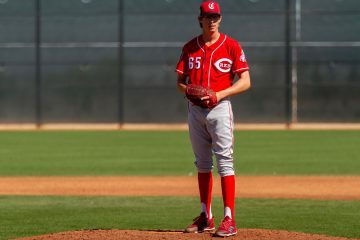 With the Reds crowded starting pitcher grouping he could find that move to the bullpen in the long run, but is likely to stick in the rotation at the minor league level at least in the short term. It will be interesting to see where he starts off this season. AA seems to have a bit of a log jam with Travieso, Garrett, Romano, Davis, and Mella likely starting the year there. Stephens showed enough to move up a level, but there might not be room. I wonder if he’ll start back in Adv. A with Mahle, Strahan, Antone, and Varner/Paulson. (Of course that still leaves Armstrong and Crawford without a place at the moment). How would his stuff play in the bullpen? It’s very unlikely he’ll get a shot with the Reds, simply too many people ahead of him. Still, a solid year and I hope he keeps progressing. Can’t see Armstrong at Daytona after surgery. I’m thinking he’ll be in extended spring training then Dayton. Crawford may also be assigned someplace lower to build up after his injury. One question is in regards to the missing link, Nick Howard. I’ve heard they want to keep him starting, and can’t see him at Daytona either. Extended time in AZ may have another guy there. Also hoping Stephens continues to develop. It wouldn’t surprise me if we didn’t see him at all this season. Not everyone comes back in 12 months or less. If his potential is that of a major league starter, moving to the bullpen might not be the best way to maximize his value. Orioles and D-backs farm systems are both pretty thin at this point and might value having a prospect closer to big league ready. Do you think Stephens is a strong enough prospect that he could be traded for a competitive balance pick? Doubtful that he’s got that kind of value at this point. Let him keep starting and see how that goes though and maybe with continued performance the value goes up some.